Hacienda has always provided a "thorough examination" of a player’s golf game. The membership has been mindful of the evolution in equipment technology, and in 2005 renovated the course to keep length and shot making demands current with changing times. 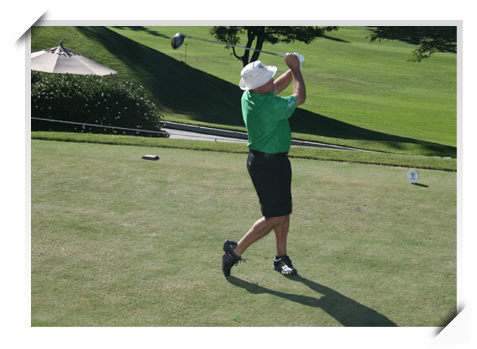 Over the years Hacienda has hosted championship tournaments sponsored by the USGA, the SCGA, and the SCPGA. Through time, course records have been held by exemplary talents including Gene Sarazen, George Von Elm and Tiger Woods. Tournament golf has always been important at Hacienda. In addition to our national and regional heritage, Hacienda hosts three "major events" every year that involve both members and their guests. They serve as showcases for the club that Hacienda has become. Started in 1955 by Chuck Soper to honor Scotty McGregor, a 5-time Hacienda President, the McGregor has become one of the largest tournaments in Southern California. 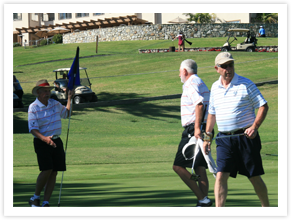 The McGregor is premier member-guest tournament of Hacienda and is always a sell out with up to 120 teams. It is contested annually in June. The Jewel was conceived in 1974, as Hacienda's invitational to attract the best players in Southern California to the "Jewel of the Canyon". It has endured for the past 37 years as the major tournament for area golfers to test their skills against the championship course Hacienda has become, and is held annually during August. As a testament to the field depth, Hacienda members have only won the tournament 15 times during that span. 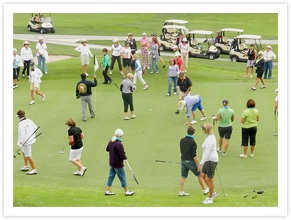 Since 1963, the women of Hacienda have hosted a tournament that has become one of the most popular events on the WSCGA calendar, contested annually in June. Over the years the tournament has enjoyed a number of different formats. 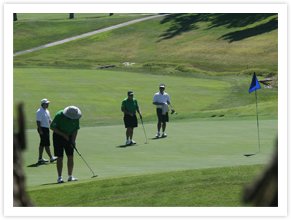 Always colorful and highly enjoyable, teams from all over the area have vied for gross and net prizes signifying their ability to master the demands of our unique and challenging golf course.